My Rode Reel is an annual competition for short films with competitors from all over the world. Together with co-producer Lars Ruizeveld I entered the 2016 edition of the competition and co-produced a short film. Starting from scratch, the total production of the short was spread over a period of 3 months. The time we had available to spend on the project was minimal since I had a full time job and the co-producer was still going to college. ​From both a director's and vfx-artist's point of view, I wanted to have a clear idea of what the framing and camera angles would look like before going into production. 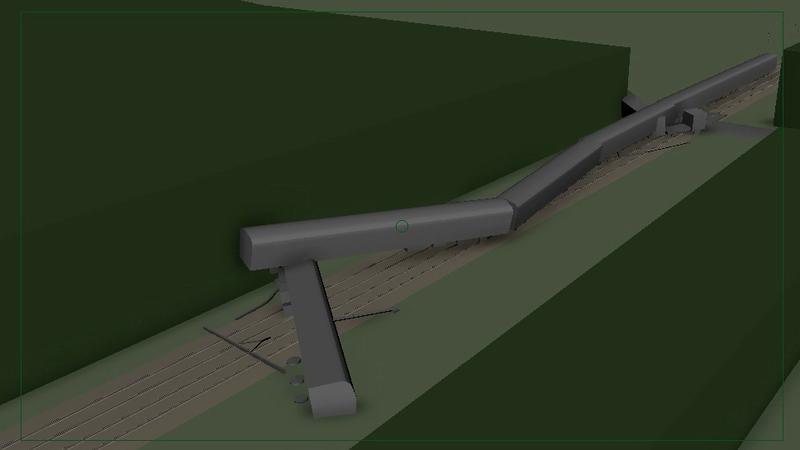 Therefore, I spend a good amount of time on pre-visualizing some key shots and the train crash shot. I managed to find some blue prints of the station building on the internet and recreated parts of the station accurately. 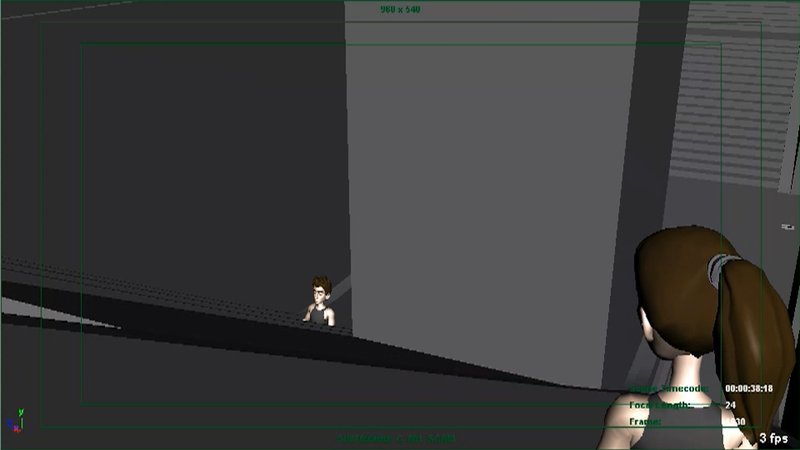 This helped us a lot with figuring out the camera angles and anticipating on camera movement. After the first iterations of the script it became clear that we would have multiple shots throughout the movie with a mobile phone showing time and date. To have maximum flexibility in post-production I decided to have the phone display a green screensaver with 4 corner markers. This way I could track the corners of the screen and use chroma-keying to replace the content of the screen. After a couple of script iterations we came up with the idea of having a train crash. From the start I knew this would be a big challenge, given the amount of post-production time available. The shot was designed to look like a news report, filmed for a helicopter. After working on the layout of the shot and figuring out what the crash-site should look like, I got in contact with Sommedia. Together with Sommedia we planned a drone session to shoot footage of a carefully picked train crossing, matching the layout of the shot. When post-production began, I was faced with an issue that eventually reduced the amount of time available to spend on compositing, set-dress and FX. Initially, I had intended to acquire or buy a 3D model of the train. I found a good quality model of the train I had in mind. However, when I contacted the owner of model about my plans, he told me that he was prohibited by the train manufacturer to sell his models for such purposes. This would probably be true for most models on the internet. However, he offered to send me detailed blueprints so I could model the train myself. Although I enjoyed modeling the train, it cost me extra time which I rather had spend on other elements.